This is a pure natural therapeutic quality carrier oil from France. Many carrier oils have significant benefit for maintaining a healthy and youthful skin. Apricot kernel oil has some anti-ageing benefits. It’s recommended for dry and mature skin types due to its mild, highly moisturising nature and rich antioxidant content. 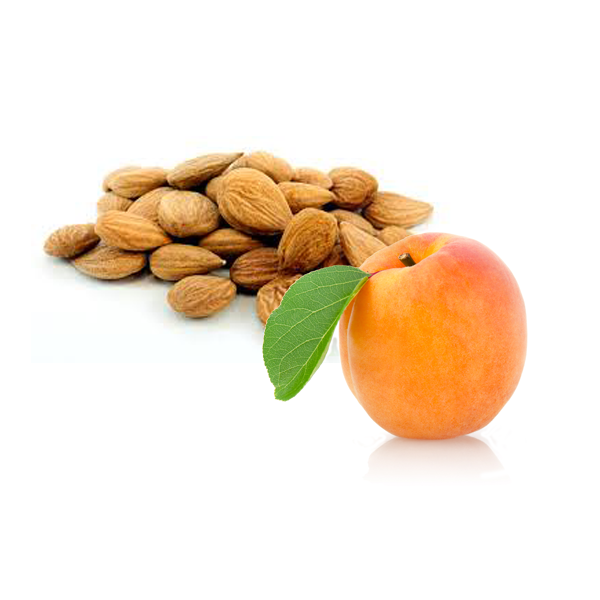 Daily use of apricot kernel oil can be used to help diminish the look of wrinkles and other signs of ageing. Apricot kernel oil packs potent nutrients such as vitamin C, vitamin A, Vitamin E, potassium, oleic acids, amino acids and dietary fiber. These are all essential for better hair growth and skin health. Most skin care and hair products on the market today contain apricot oil as an ingredient too. Rich in Oleic Acid - Oleic acid is one of the vital omega fatty acids that acts as an emollient on the human hair. This compound penetrates deep into hair follicles and the scalp. It makes your hair softer, more pliable, and reduces scalp dryness as well. Applying apricot kernel oil on your scalp and hair is mostly recommended. Why? Well, the compound can be absorbed directly onto your scalp and hair easily. In addition, it improves hair softness and growth. 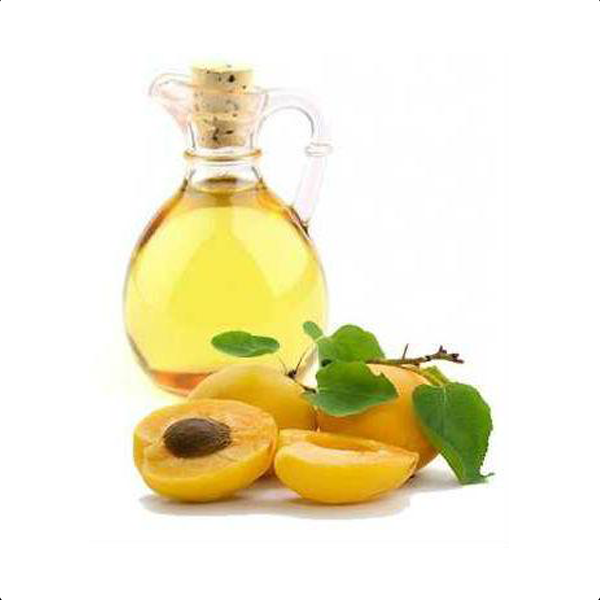 Apricot oil can be used to help contain hair loss and introduce rejuvenated hair growth too. This is one of the reasons it is a key ingredient in most hair care products. Acts as a Mositurizer - Dry scalp is one of the leading causes of hair loss among women. Apricot oil, however, helps keep the scalp moisturized by improving cell hydration. With the cells properly hydrated, hair follicles get a favorable environment to continue growing. This not only reduces hair loss, but also rejuvenates hair growth for healthier hair strands. Rejuevenates Hair Growth apricot oil is a potent source of linoleic acids, oleic acids, and Vitamins A, E, and C among other nutrients. These vitamins play a principle role of expunging toxins and free radicals from skin cells (in particular on the scalp). Also, both the linoleic and oleic acid help stimulate increased hair follicle and cell growth. Linoleic and oleic acids are both essential omega acids that not only induce increased cell regeneration and growth but also help curb scalp inflammation due to dryness. Natural Hair Conditioner Apricot beans are potent sources of Vitamin E, A, and essential omega 9 fatty acids (linoleic and oleic acids). These nutrients are also retained once the beans are dried and pressed to produce apricot kernel oil. According to research, all these nutrients are the perfect compounds needed to keep your hair well-conditioned naturally. Most chemical hair conditioners on the market contain synthetic Vitamin E and A, as well as oleic acids that help condition your hair. Prevents Split Hair Ends - Split hair ends can be your worst nightmare where hair health is concerned. Split ends lead to hair loss and retarded hair growth. Although most people resolve to trim their hair, applying apricot oil can help solve the problem. Certain nutrient deficiencies are among the factors that contribute to split hair. Apricot oil contains plenty of omega fatty acids and vitamins that nourish hair follicles, and also expunge free radicals and toxins that could be causing the slow hair growth. If you have been experiencing hair loss or split ends, you should then consider applying some apricot oil to your hair. Makes Hair Manageable - Among other benefits, apricot oil transforms otherwise frizzy and dry hair into smooth, soft and curly hair. By locking in moisture around individual hair strands, apricot oil makes styling much easier as it leaves your hair shiny, soft, and well nourished. If you have been struggling with dry hair, you should try apricot oil to enjoy more of these benefits. Apricot kernel oil is not only beneficial for your hair but your skin as well. The oil seeps through the skin thus leaving it soft and well hydrated for longer. This means you can massage your hands, feet, scalp, and even your face with this oil for a more youthful look. You can also add a few drops of the oil to your bath water to enjoy more of these benefits. Apricot Kernel Oil Organic is suitable for all skin types, but is particularly beneficial to sensitive, inflamed, prematurely aged and dry skin. This is a pure natural therapeutic quality carrier oil from France. Many carrier oils have significant benefit for maintaining a healthy and youthful skin. 100% Apricot Kernel oil, organic.